Ahead of the forthcoming Cybotron shows Test Pressing were given some time to sit and talk with Juan Atkins about the beginnings of his career making music as part of Cybotron alongside Richard Davis and beyond. Juan Atkins is held by many as the creator of the techno sound. There’s always the curve ball Indian record etc that has mad synths on it but Juan worked for a number of years, as Derrick May says “between ’82 & ’87”, making electronic music and creating the framework for what would be techno. He’s basically a legend that is still making relevant music. Here’s the full interview. 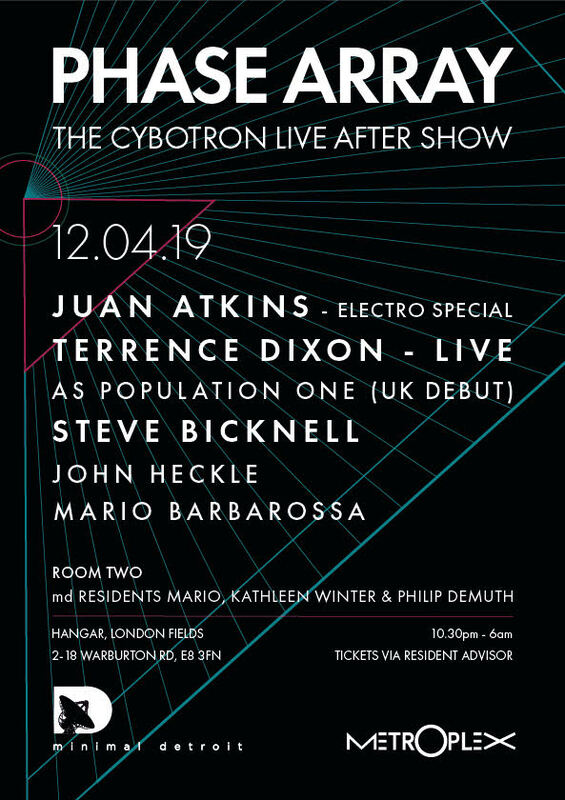 When Cybotron play at the Barbican this week (12.04.19) there’s a great looking after show party with Juan playing as well as Terrence Dixons UK debut (I think he’s doing a live set on 4 x 303’s) and more (and you don’t need to attend the Barbican to be there). Sounds like a good one. x.